Now, let us share with you a couple of snapshots taken at Special Hobby stand during the Nuremberg Toy Fair which took place over the last week in Germany. Our 1/72 P-40 model kit got commended from DetailScaleView (DSV) for the best model in this scale. Many customers and business partners visited our stand for a scheduled appointment, among them also a very nice and kindhearted Portuguese lady, Ms. Lidia Lasco of JGT Modelismo in Lisboa. 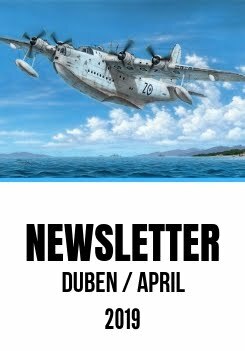 To our astonishment, she brought with her a pretty nice replica of the CASA C-212-100 transport plane, which had been built by a customer of hers from Special Hobby kit SH72376 Portuguese Tail Art just for the occasion of the Nuremberg Fair. Ms.Lasco gave us this model to show the gratitude of many Portuguese modellers for such a nicely done kit with superb decals portraying a Portuguese subject.